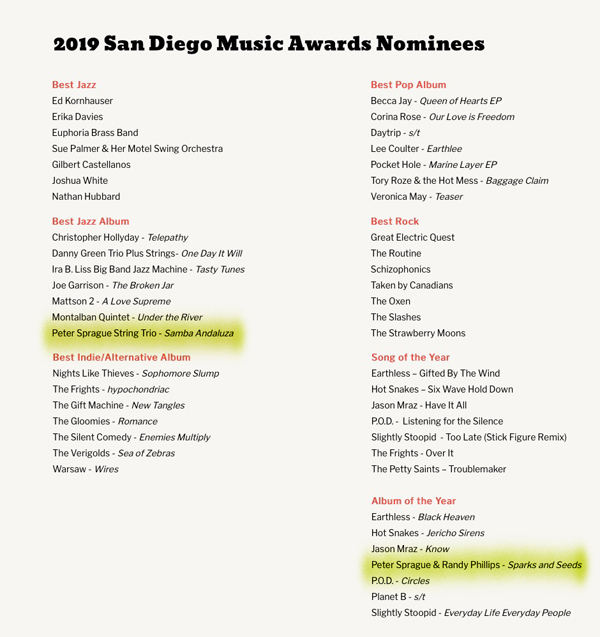 Peter Sprague | Carpet Bomb the Music Business! I zipped back to NYC last week and got out just in time. The snow was on my heals and I left early Friday and I think by Saturday a ton of the flights were cancelled. I went back to be part of the Chamber Music America Convention and met some cool musos and presenters, took in some heated panel discussions on the totally uncertain future of CD sales versus streaming, and the one organic truth to emerge out of it all is that music is so good and enriching that even if they carpet bomb the whole business, us musos will continue to compose and play with joy and inspiration. How could we not? I’m two thirds done with the new grant composition and it’s coming along nicely. I have a couple more weeks of work on it and hopefully I can finish it in time to get a practice run through with the group before Lars, our cellist, heads back to Brazil for his teaching duties. In any event, you’ll all get to hear it in the summer when we’ll “world debut” it here in SD. The surf has been nonstop and it’s my second full time job of fun! 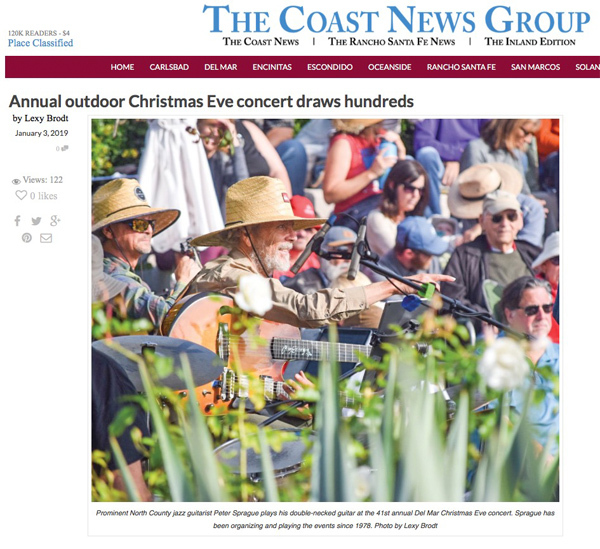 We corralled a cool article about the annual Christmas Eve concert in The Coast News a couple of weeks back. 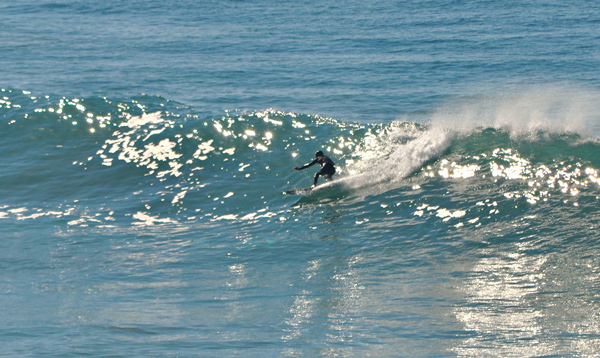 “To me it harks back to a time when Del Mar was kind of a looser, hippy town,” Sprague said. Yeah, less rules and restrictions and just folks tuning in for a music moment. Lets do it again and we will! and you can vote if you feel so inclined here. 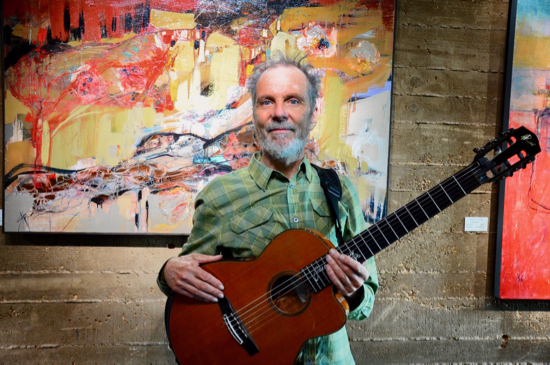 Onwards to live music this week, first up it’ll be me and la guitarra strumming solo at the Flower Hill Promenade on Friday afternoon at 12:30pm. If the weather is funky it won’t happen but looking at the app right now it looks like it won’t rain. See you there! 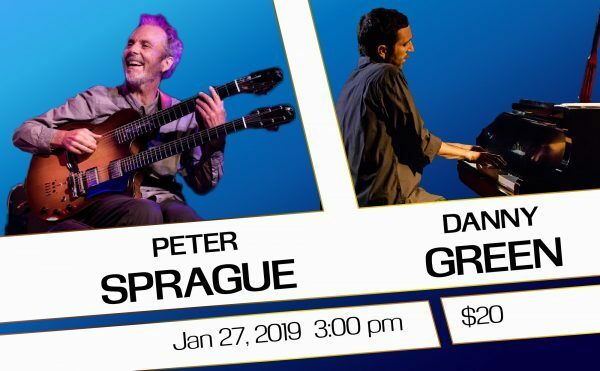 On Sunday at 3pm pianist Danny Green and I are playing a special duo home concert. It’ll be at Danny’s house and he just got his piano tuned too! 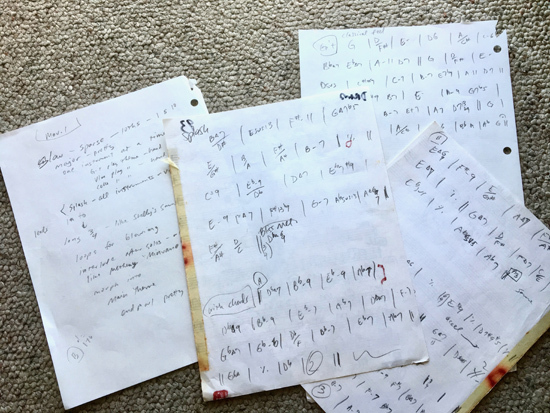 We rehearsed a few days back and we’ve got a neat collection of his tunes, my tunes, Brazilian tunes, freshly rearranged Beatles songs, and a few jazz classics as well. It’ll be a good day of music! In case you haven’t been, house concerts are a great way to listen to music and be with good people. It’s almost sold out so if you’re thinking you want to go, mouse it around quickly to reserve tickets here.